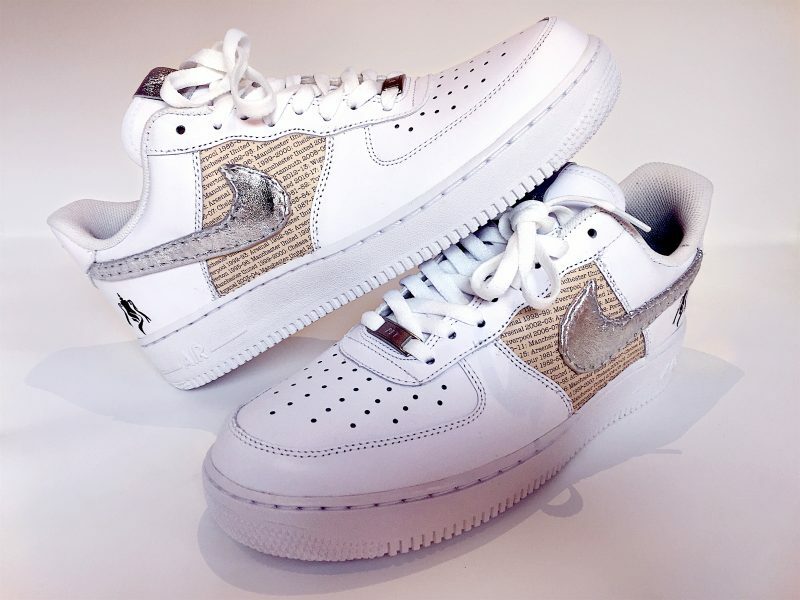 Rebecca Judd and Poet have put pen to trainer and created a bespoke pair of Emirates FA Cup inspired Nike Air Force 1s as part of their role as #CupCollective members. The ‘Icon Series’ is an exclusive collection featuring limited edition Nike Air Force 1s and Nike t-shirts designed by the pair. Each pair of trainers has been hand painted and pressed, with the two creatives tying in the iconic trophy with their own personal experiences of the competition for the designs, such as Poet’s grass printed soles to mimic stepping onto the pitch and hints of claret and blue representing Rebecca’s family’s West Ham roots. 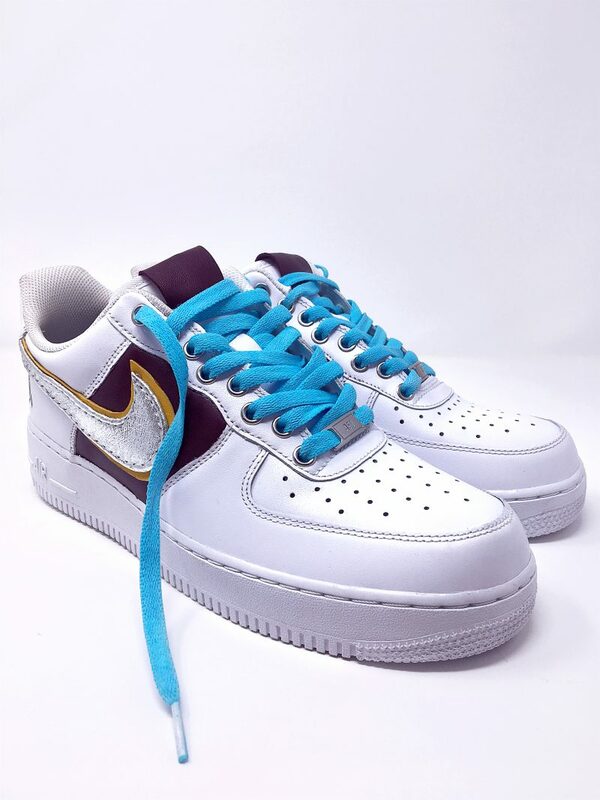 Check out the images of the two Air Force 1’s below. There’s also a unique artwork from street artists Graffiti Kings and animation from illustrator of the London grime scene Elena Gumeniuk – all celebrating the iconic Emirates FA Cup trophy to inspire a new generation of fans. Keep an eye out for giveaways of the range on the FA Cup’s Twitter in the lead up to the FA Cup Final.